This is the standard FBI fingerprint card, form No. FD-258 used by the FBI, Bureau of U.S. Citizenship and Immigration Services, and many police agencies for noncriminal fingerprinting such as for employment clearances or immigration purposes. 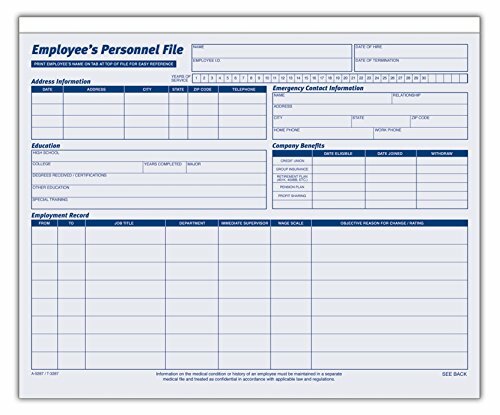 The Adams Employee Personnel File Folder is complete with space for employee address and emergency information, education, employment record, and company benefits. 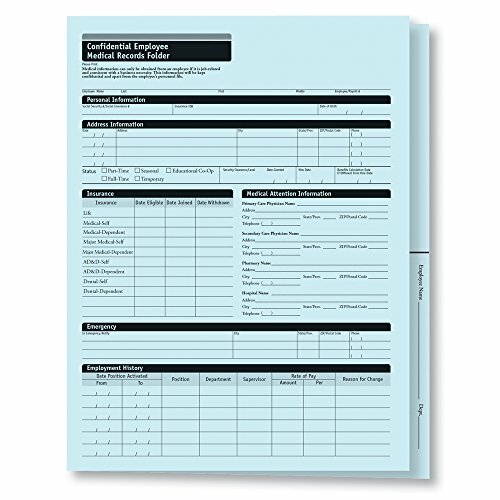 Printed on heavy card stock, these file folders measure 11-3/4 x 9-1/2 inches. 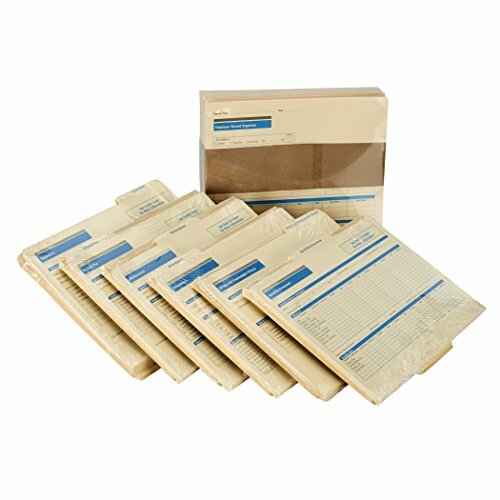 Pack of 20 folders. Adams business forms provide the tools to help keep track of messages, finances, transactions, employees, taxes, and customers to businesses throughout the world. Whether it's a multi-part form, notebooks, writing pads, record books, or any of the hundreds of items we offer, you can count on Adams products to help! For manual time records Space for hours worked, overtime, pay rate, job number/description, earnings and deductions. 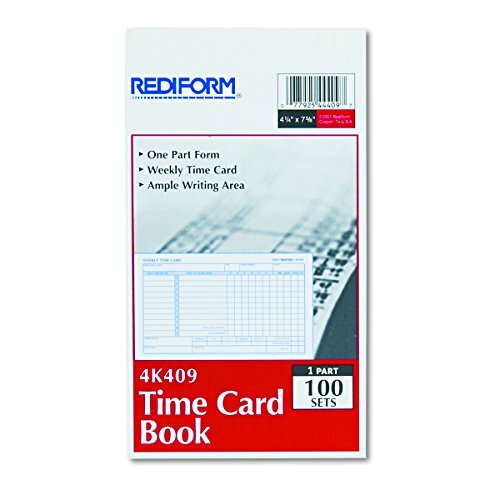 Global Product Type: Time Clock Cards; OEM Card Number: N/A; Clock/Recorder Compatibility: N/A; Size: 4 1/4 X 7. Space for hours worked, overtime, pay rate, job number/description, earnings and deductions. Adams Business Forms provide the tools to help keep track of messages, finances, transactions, employees, taxes, and customers to businesses throughout the world. 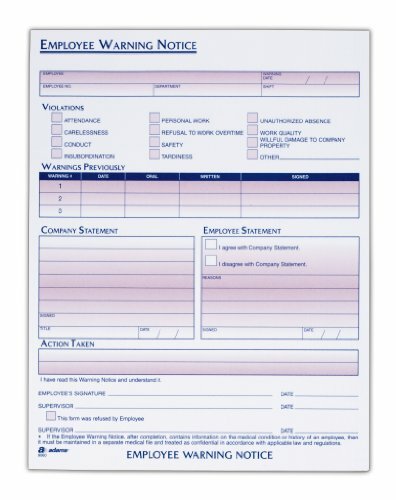 The Adams 9060 Employee Warning Notice forms help you to record and track warnings against an employee for violations of conduct or work rules. Each pad contains 50 single part forms for a total of 100 forms. 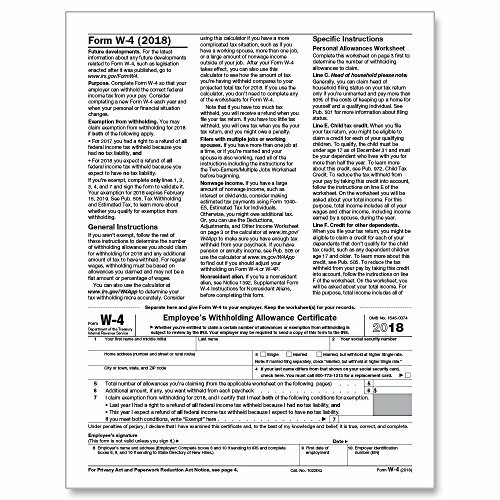 Forms are a full 8.5 x 11 inch sheet size. These business forms are the perfect way to create and maintain a professional image for small businesses and service providers. Whether it's a multi-part form, notebooks, writing pads, record books, or any of the hundreds of items we offer, you can count on Adams products to help! All folders are received by customer packaged separately and must be assembled into kit. Outer folder must be minimally assembled to fit the six tabbed folders. Expandable organizer offers convenient, comprehensive record keeping. 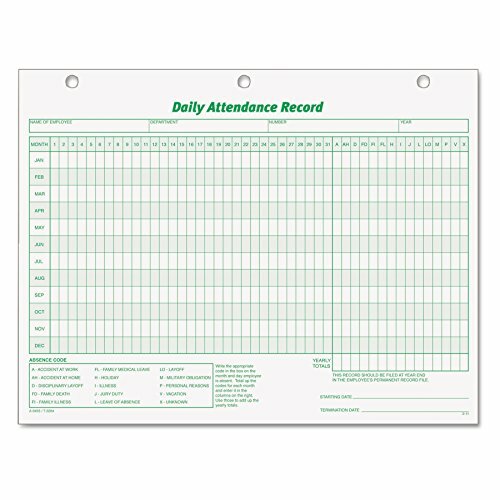 This easy-to-use record organizer covers all data from the first day to last. 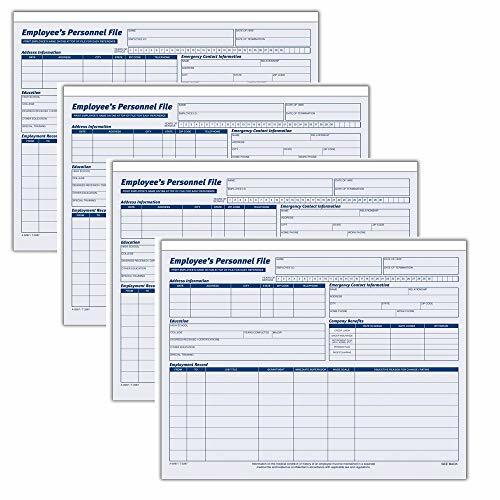 The employee record organizer contains six organized file folders to centralize records and make paperwork much easier to file and retrieve. The organizer comes with 6 different folders that not only organize your paperwork, they actually help simplify it, by capturing important personnel information right on the folder itself. Space for confidential information is concealed on the inside of the folder. Plus, all six sections tuck neatly into the organizer jacket - which fits in any standard-sized filing cabinet. Best of all, we've passed every folder through a comprehensive legal review to assure it complies with current employment laws, a safeguard that no other system offers. 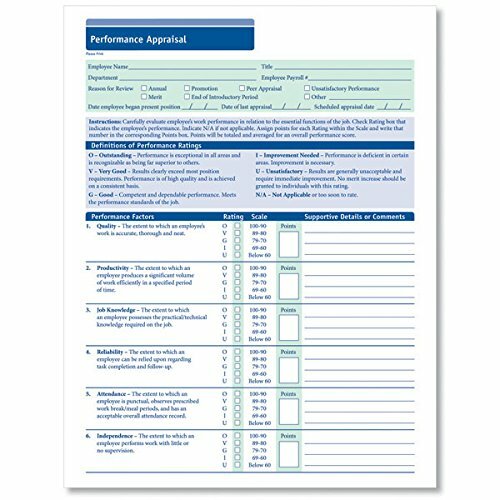 Make employee performance appraisals easier to perform, more effective and less stressful with the employee review form rated as ""OUTSTANDING"" by HR professionals. Motivate your employees to excel! These employee performance appraisals are easy to understand, and feature large comment areas to allow you to provide detailed feedback to employees. Since 1952, TOPS has provided quality products and services to businesses throughout the world. TOPS continues that commitment providing innovative, high quality value-added paper products for the office, school and home. 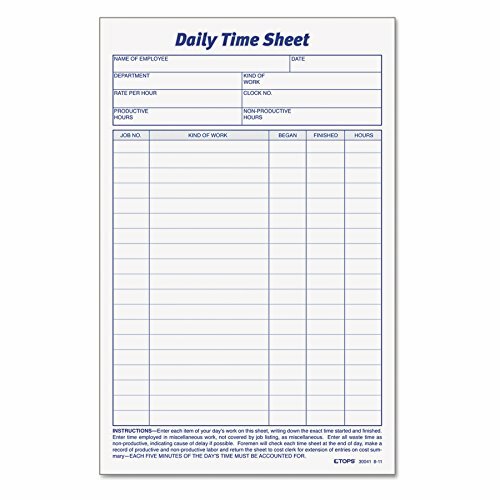 For daily manual time record keeping. Columns for job number, kind of work, time begun, time finished and total hours. Whether it's a multi-part form, notebooks, writing pads, record books, or any of the hundreds of items we offer, you can count on TOPS products to help! Since 1952, TOPS has provided quality products and services to businesses throughout the world. TOPS continues that commitment providing innovative, high quality value-added paper products for the office, school and home. 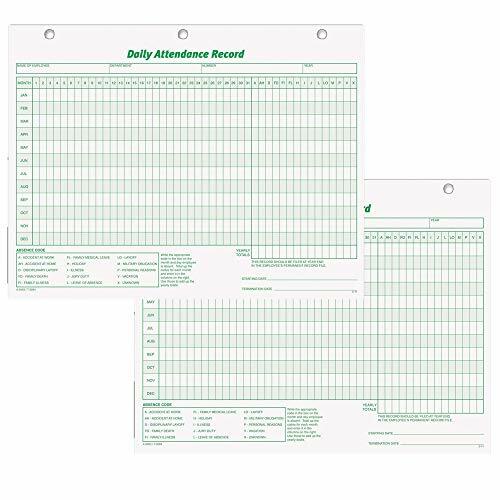 TOPS Daily Attendance Record Forms offer an enlarged format to allow easy entry of information and shows complete history of employee attendance for one year. Format allows employer to keep track of lost time and control payroll cost. Three-hole punched design fits standard three-ring binders. Forms are made of white index stock and printed in green ink on one side. Whether it's a multi-part form, notebooks, writing pads, record books, or any of the hundreds of items we offer, you can count on TOPS products to help! State and federal recordkeeping laws require that business record and make essential employee documents readily accessible. 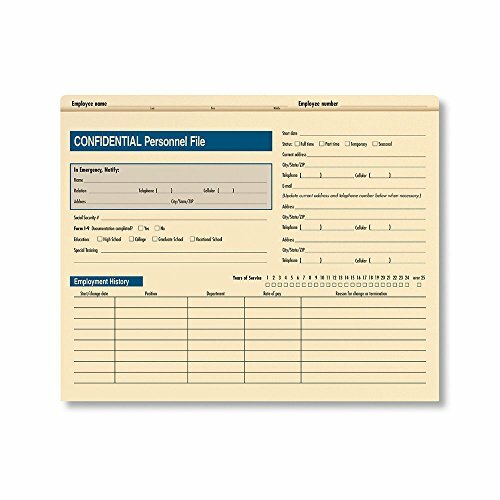 Use our Confidential Personnel Files to file and protect important, legally sensitive employee documents such as performance reviews and hiring records. 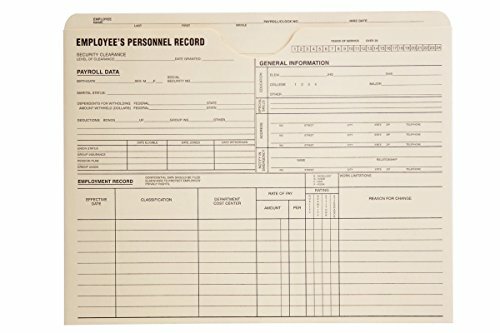 Personnel Record Jackets offer the printed standard form of the employee's personnel record with black ink on front and back. Each jacket front offers a place to fill in general information about the employee, payroll data and employment record including effective dates for each classification and rate of pay. Jackets are made of 11 point quality tag. Comprehensive employee record folder helps to ensure the safety and security of private employee data. Store salary information, performance warnings, appraisals and more; virtually any data or paperwork that must remain confidential. Important information such as pension plans, 401K, credit Union and other benefits can be noted right on the front of the folder. Adams Business Forms provide the tools to help keep track of messages, finances, transactions, employees, taxes, and customers to businesses throughout the world. These business forms are the perfect way to create and maintain a professional image for small businesses and service providers. 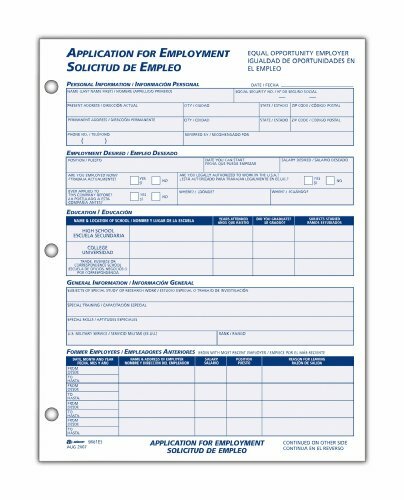 The Adams Bilingual Employee Application is a unique application printed on the front and back in English with Spanish translation. 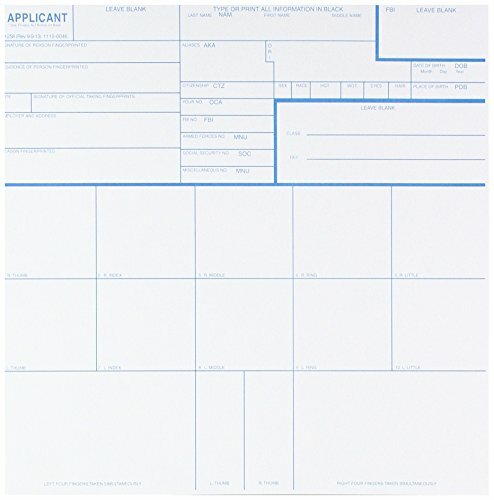 Each 8.5 x 11 inch pad contains 50 forms, and are conveniently available with 2 pads per package. Whether it's a multi-part form, notebooks, writing pads, record books, or any of the hundreds of items we offer, you can count on Adams products to help! Patriot Wholesale Direct is proud to offer our printed FBI Fingerprint Cards (FD-258). Each order will come with 10 cards. These forms are FD-258 as required by the FBI for many licenses including FFL. The version for this form was last updated 9-9-13 and is currently the latest version of this form. Printed on 70# paper. 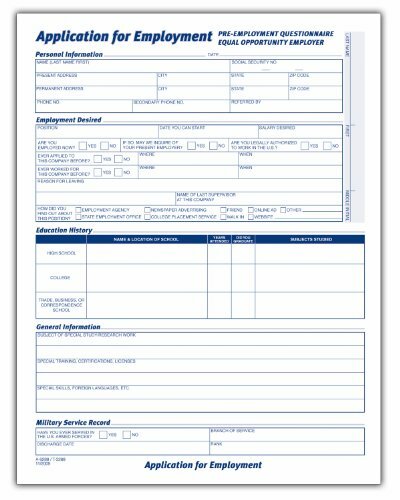 These forms are printed with pride by Patriot Wholesale Direct and and Made in the USA! Adams Business Forms provide the tools needed to help businesses keep track of messages, finances, transactions, employees, taxes, and customers. 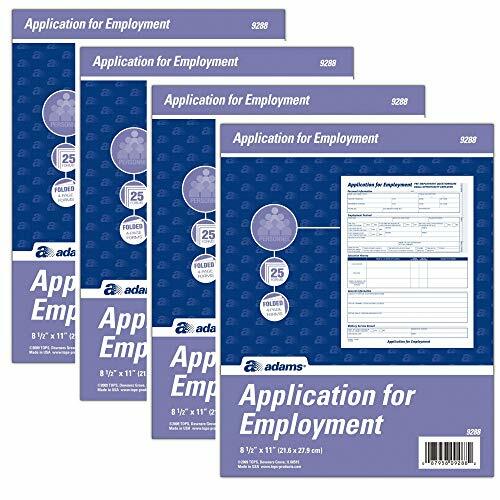 Adams Applications for Employment are a great way to capture all pertinent information for potential employees. 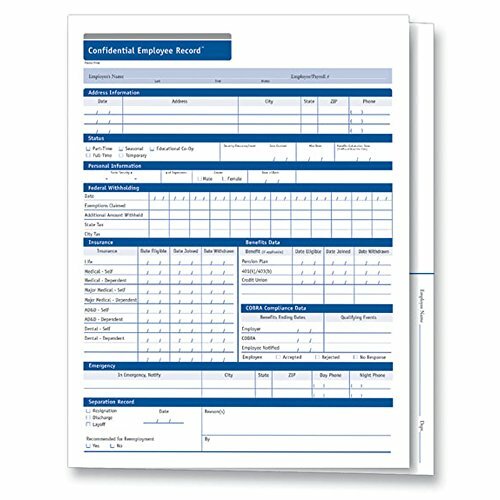 You can use these forms for employee screening for just about any type of business. 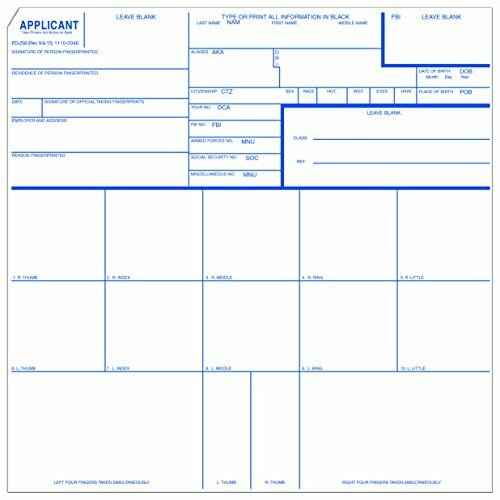 Each set of these 4-page application forms contains 25 full applications and measure 8.5 x 11 inches. Whether it's notebooks, writing pads, record books, time cards, business forms, or any of the hundreds of items we offer, you can count on Adams products to help. This poster should be displayed in your reception or patient waiting room. HIPAA regulations require that patients are informed of their rights and responsibilities in a prominent location at your facility. 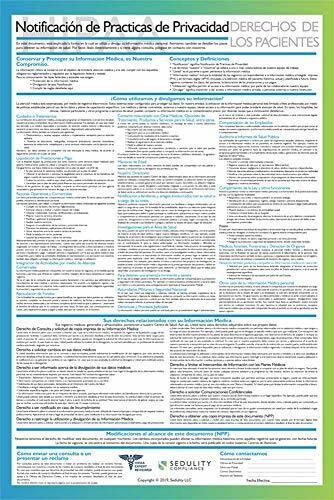 The poster provides your patients with a detailed explanation of how their health information may be used and shared by your organization and allows you to provide patients with contact information to an employee that can assist with patient information privacy questions or concerns. Since 1952, TOPS has provided quality products and services to businesses throughout the world. TOPS continues that commitment providing innovative, high quality value-added paper products for the office, school and home. 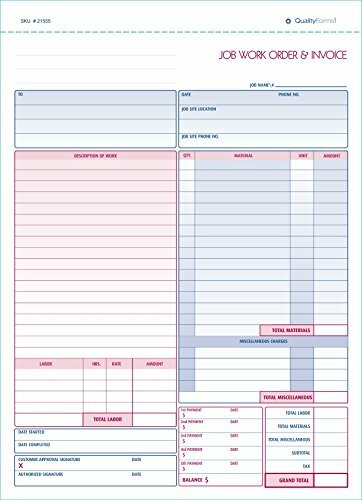 TOPS Daily Attendance Record Forms offer an enlarged format to allow easy entry of information and shows complete history of employee attendance for one year. Format allows employer to keep track of lost time and control payroll cost. Three-hole punched design fits standard three-ring binders. 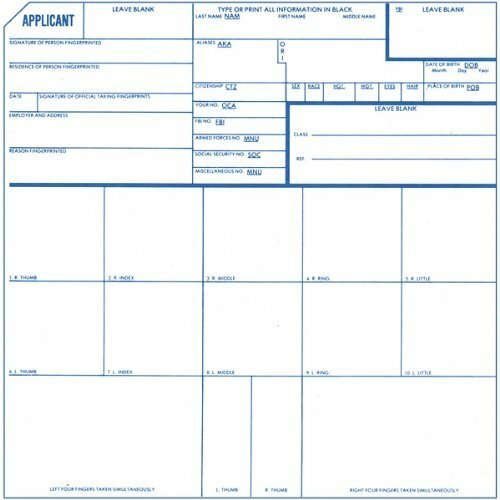 Forms are made of white index stock and printed in green ink on one side. Whether it's a multi-part form, notebooks, writing pads, record books, or any of the hundreds of items we offer, you can count on TOPS products to help! Sold as 100 forms.